The Denton Peterson attorneys have over 52 years’ collective experience successfully litigating matters in both trial court and at the appellate level. The experienced Arizona litigation attorneys at Denton Peterson, P.C., understand how important effective communication between attorney and client is to successful litigation. This is why we strive to build a relationship and maintain an open line of communication with each of our clients. As a result, our clients are comfortable knowing exactly where they stand at all times in the litigation process. Our attorneys and paralegals are readily accessible to answer your questions and address your concerns at any point during the litigation. Our Arizona litigation lawyers are experienced in every phase of litigation matters including trial court and at the appellate level. We are prepared to help you through the complicated process of litigation to get you the most desired outcome. Our Arizona corporate litigation lawyers who know just how complex litigating can be. Denton Peterson, P.C.’s AZ litigation attorneys are experienced and can handle these matters with poise and skill to achieve the justice you deserve. The attorneys at Denton & Peterson, P.C. are learned and experienced in shareholder dispute litigation, and can help you with your business matters with ease. We can give you the favorable outcome you desire when someone has breached your trust. The Arizona copyright infringement lawyers at Denton & Peterson, P.C. can help you obtain the restitution you deserve when your properties have been handled without proper license and have infringed your copyright laws. Contact us today. At Denton & Peterson, P.C. our Arizona non-disclosure lawyers can handle your non-disclosure agreements and other business law needs with ease, giving you the proper outcome and ensuring that your contracts and other agreements are properly handled. 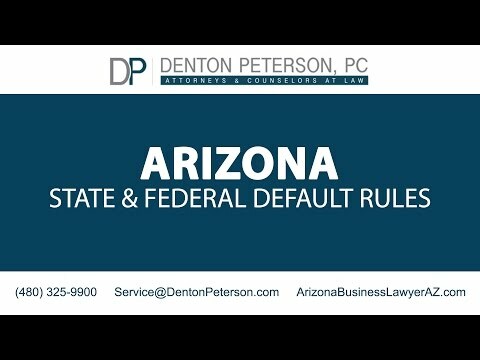 For attorneys in Arizona who can help protect your intellectual properties and even litigate when your properties have been breached, contact the capable intellectual property lawyers at Denton & Peterson, P.C. to help guide you through your legal battles. At Denton & Peterson, P.C. we strive to provide the highest quality legal services for our clients. We know that litigation can be stressful and that the possibility of a poor outcome can easily weigh on your mind. With our qualified Arizona litigators, we have the patience and skill, as well as the expertise to help guide you through the litigation process and give you the outcome you desire. We help in every manner of litigation including real estate matters, business and corporate law, non-compete and non-disclosure agreements, franchising law, trademark and copyright disputes, and much more. For more information about our Arizona litigators, contact Denton & Peterson, P.C. today.